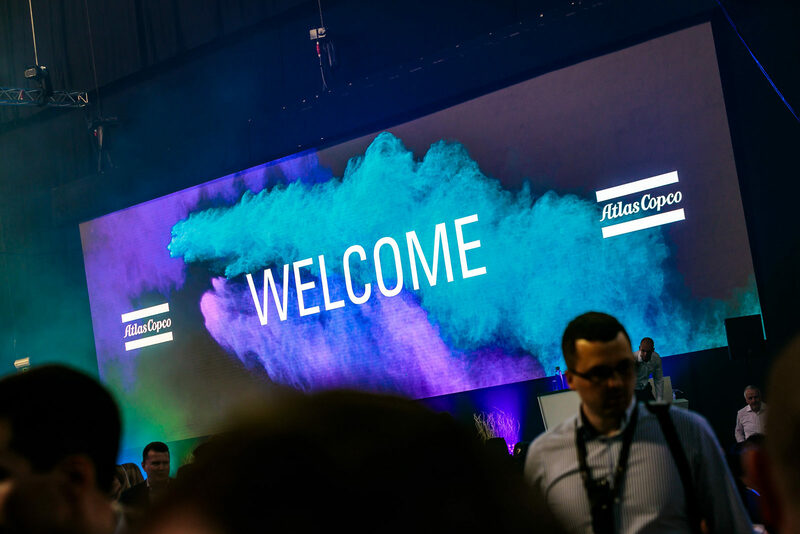 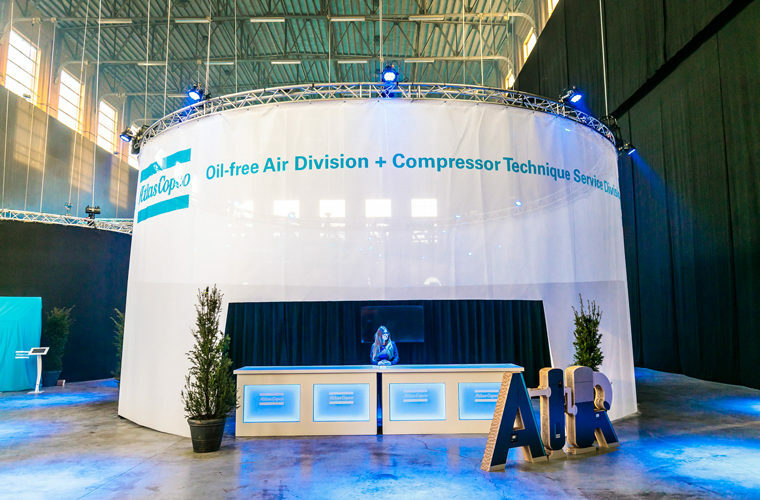 During an impressing five-day event, called the Smart Air Solution Days from 16 to 20 May, Atlas Copco showcased their innovative air control system. 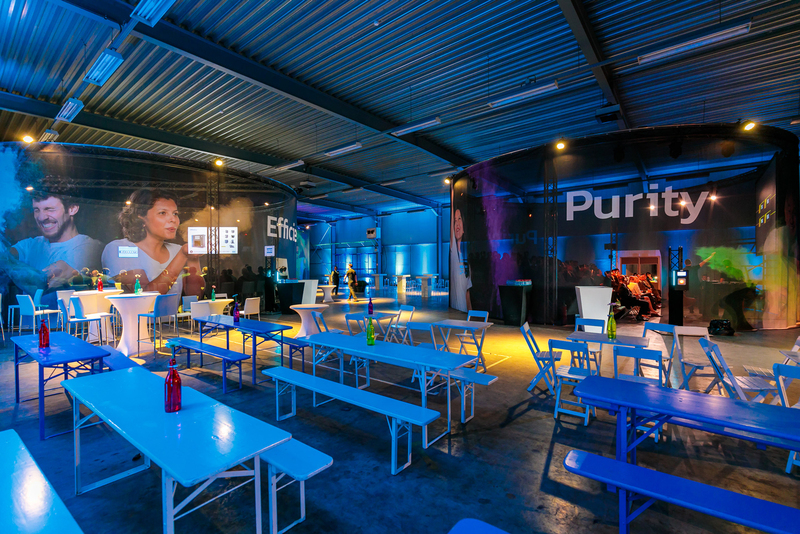 The fabulous place to be: the old power station in Schelle (known from “De Leeuwenkuil”*). 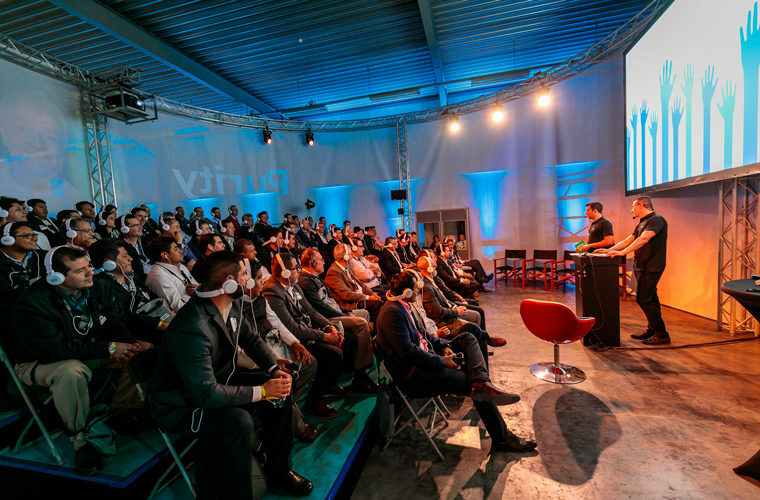 SLV Rent installed a magic setting both in the large plenary room and in 10 smaller breakout rooms. 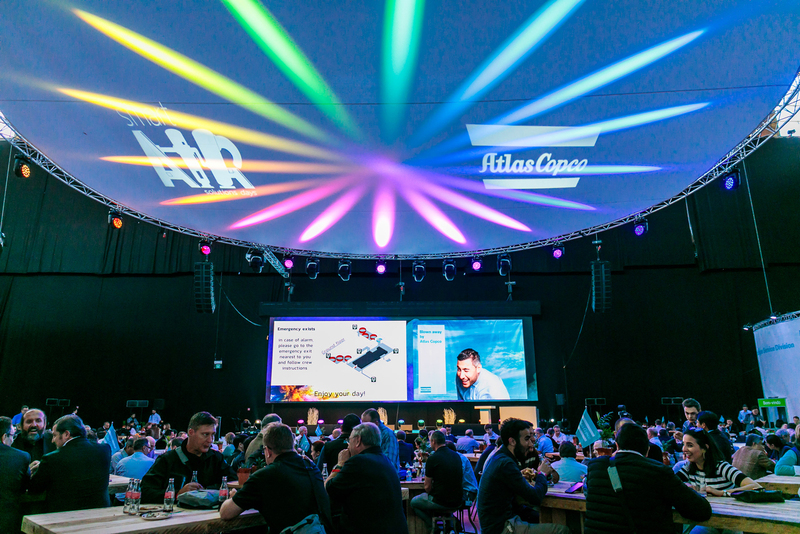 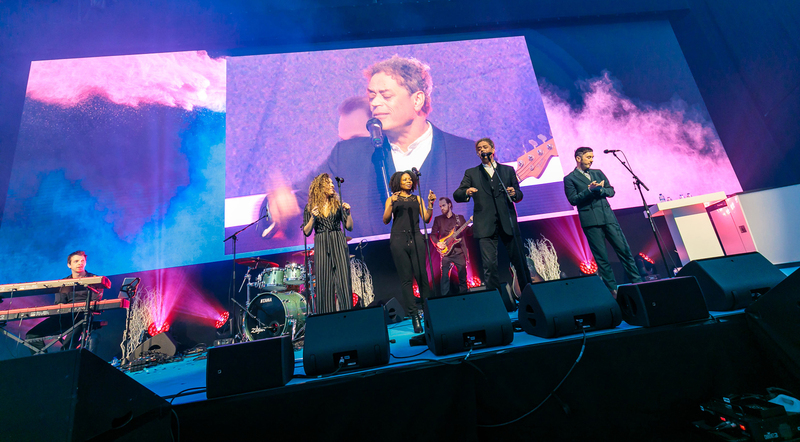 While Atlas Copcos topnotch smart air control system was blowing away 950 international guests, SLV Rent brought the event to an even higher level with a perfect light, sound and video setting.